In this previously untranslated and unreleased Elephant Editionspamphlet, Alfredo Maria Bonanno attempts, in conflict with his better judgement, to set out the fundamental elements of insurrectionalist anarchism anatomically. 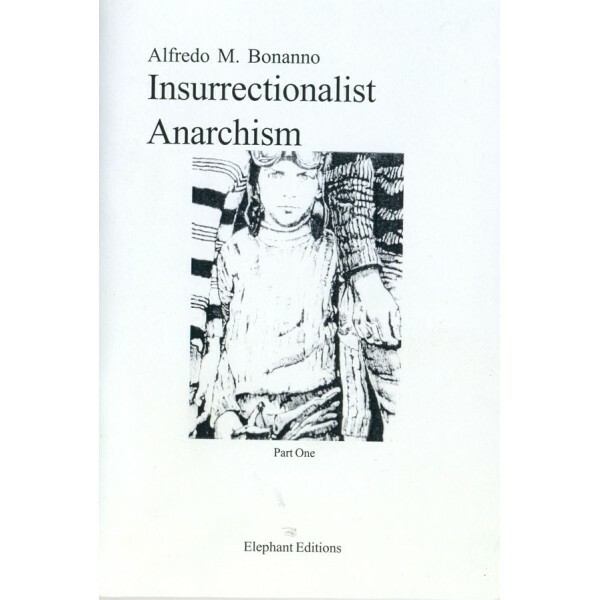 In this previously untranslated and unreleased Elephant Editionspamphlet, Alfredo Maria Bonanno attempts, in conflict with his better judgement, to set out the fundamental elements of insurrectionalist anarchism anatomically. This first section released here forms part of a larger body of work by Alfredo, which is translated by Jean Weir, which will appear in the future with Part Two, and also with previously untranslated and unreleased material as a full book. Until then, let this sharpen your thoughts and actions.